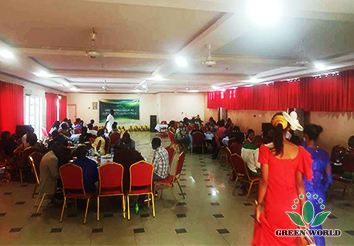 Green World Nigeria Branches (Abuja Branch and Lagos Branch) 2018 Annual Meetings were held in Abuja and Lagos on December 22, 2018 respectively, and distributors from all over Nigeria and all Green World Nigeria Branch staff gathered together and participated in the meeting. 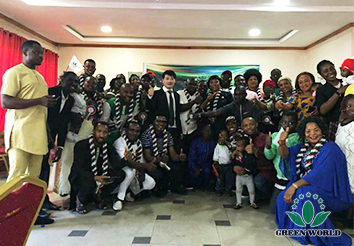 Under the guidance of the headquarter leaders, the meetings of the two branches were successfully completed. 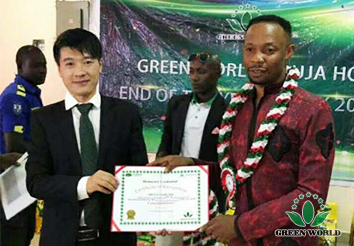 The branch managers and distributors spoke out freely and the statements made by the Chinese management about the past review and the future outlook were so inspiring that distributors could see the changes of the company, feel the confidence of the regional headquarters in the revitalization of the Nigerian market, then further strengthen the development direction of the company in 2019, and believe that the company would get better in the future. 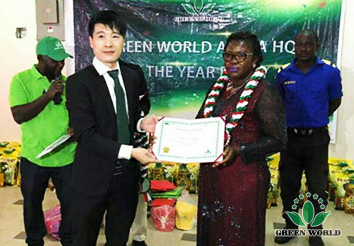 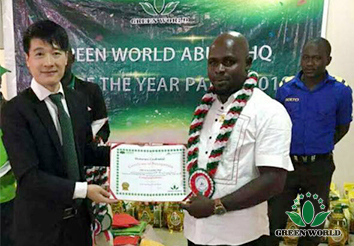 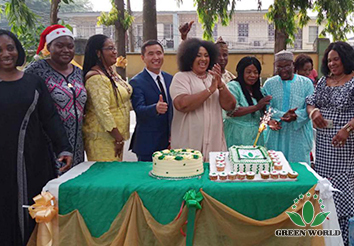 At the meeting, Mr. Huang Yufu, General Manager of Green World Nigeria Abuja Branch, extended a warm welcome in his speech, and thanked all distributors of the Nigeria Abuja branch for their trust and support to Green World as well as their continuous efforts. 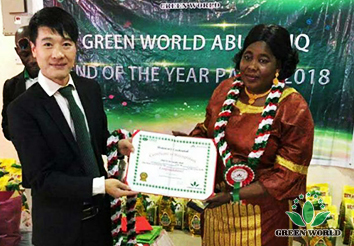 Moreover, the work of the past year has also been summarized, and distributors have been encouraged to strengthen the publicity in the market, so as to make preparations for the New Year and make joint efforts to create a better future. 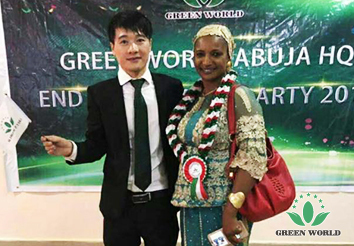 Branch excellent distributors Mr. Eze Uchena and Ms. Mary Sanusi made incentive speeches separately, sharing their valuable experiences in how to better develop Green World business, encouraging Nigerian distributors to continue to work hard, introducing the Green World business opportunities to more people and finally achieving a success in the Green World. 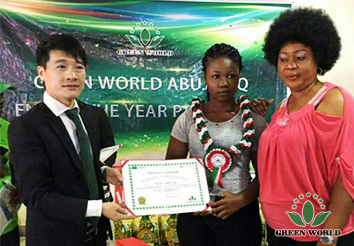 The impassioned motivational speech won a round of applause and created a positive atmosphere here. 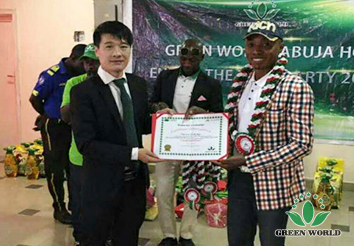 The host announced and invited the winners of outstanding distributor and distribution center owner awards of 2018, and presented them with certificates of honor to thank them for their contribution and support to the branch in the past year. 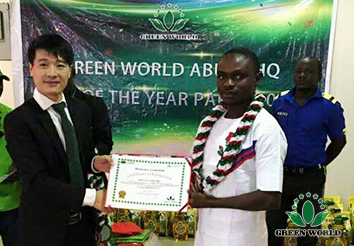 Then, the list of winners of incentive award has been announced as well. 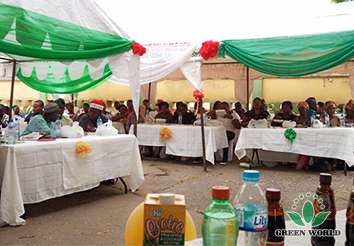 And they gave a speech to express their gratitude to the branch and said they would work harder, the on-site distributors were greatly encouraged. 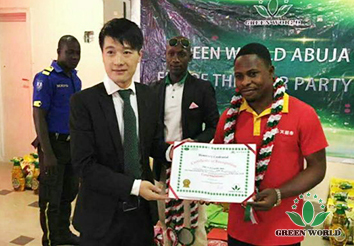 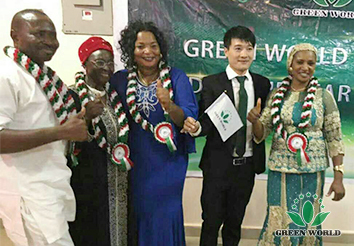 Mr. Huang Yufu, General Manager of Green World Nigeria Abuja Branch, also awarded the honorary certificate to the winners and took a group photo with them, a very warm and delightful scene. 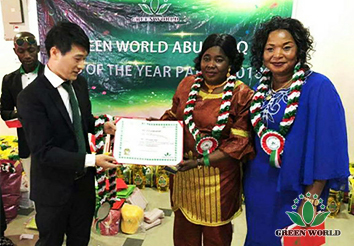 The award ceremony ended in singing and dancing, while the dinner was quietly kicked off. 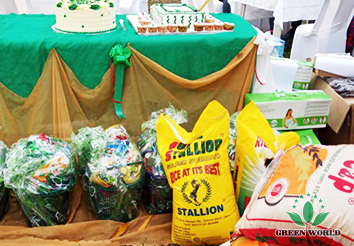 Brimming with the heated festive air, the distributors were full with enthusiasm and share the happiness and joy of this moment. 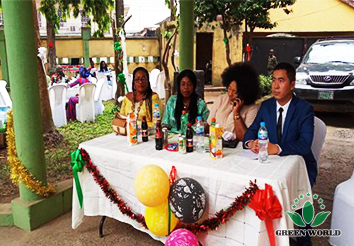 Mr.Sun Yiwei, Internship Manager of the Lagos Branch, started the Lagos Branch 2018 Annual Meeting with a speech, making detailed introduction of the company's New Year's product plan, promotion plan, training plan and requirements for distributors in the new year, as well as giving a satisfactory answer to the distributor's questions of common concern. 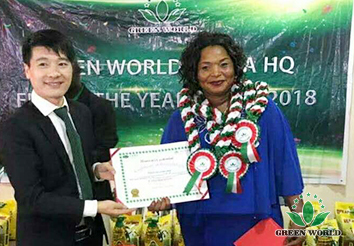 Branch outstanding distributors Ms. Ngozi, Mr. Ademola and Mr. Osholowu respectively delivered inspiring speeches, recalled the development history of Green World in Nigeria, the results achieved, and especially the annual car awarding conference which caused a sensation. 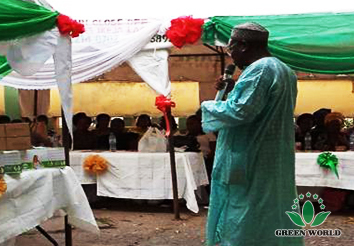 Among them, Mr. Ademola's speech was very appealing, which made some of our young managers burst into tears. 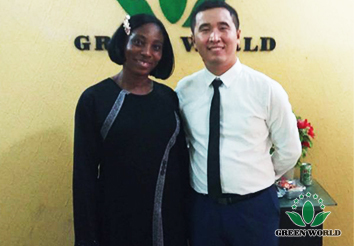 It was the Green World products helping him to regain healthy, and the Green World business changing his life, so he has been unswervingly doing the company's business for many years, never wavering and holding the greatest loyalty to Green World. 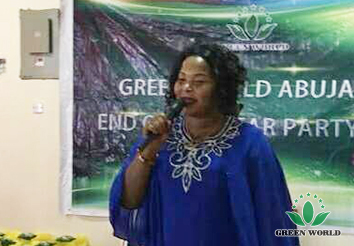 The sharing speeches made managers clear their own shortcomings and the responsibilities and mission of the company, and further strengthen their confidence of the company in Nigerian development. 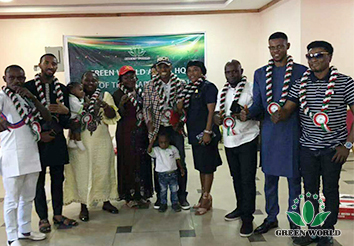 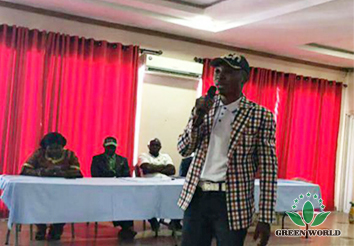 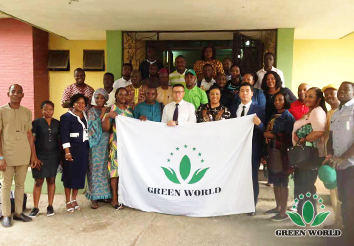 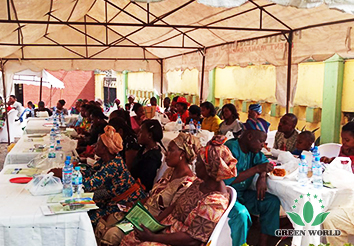 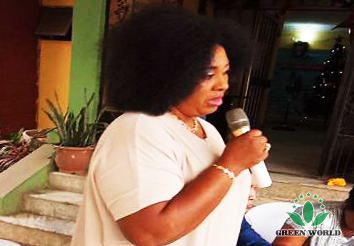 The annual meetings of Green World Nigeria Branch has increased the enthusiasm of distributors, closed the relationship between the company and distributors, boosted the morale of Green World people, raised the brand awareness of Green World. 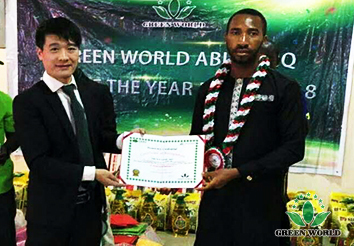 Everyone has got bags of confidence in the development prospect of Green World business in Nigeria and decided to strive for a better performance in the New Year.